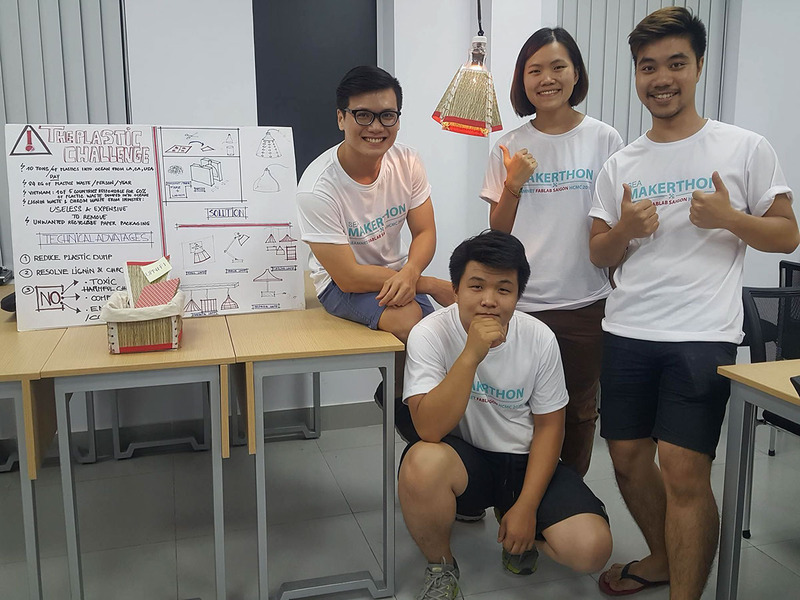 SEA Makerthon 2016 is a series of Makerthons being run in 10 cities across the region by South East Asia Makerspace Network (SEAMNET) maker spaces from June to Sept 2016. 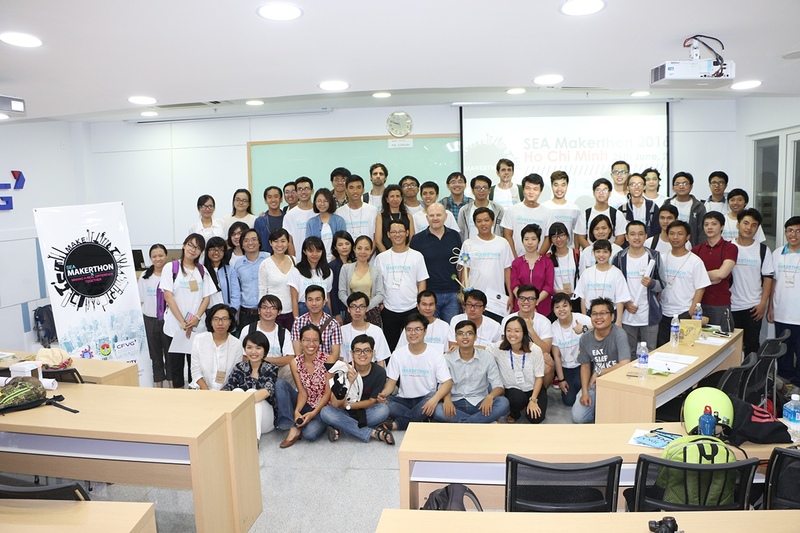 In Ho Chi Minh City, the event is organized by Fablab Saigon and will be hosted at CFVG Management School. 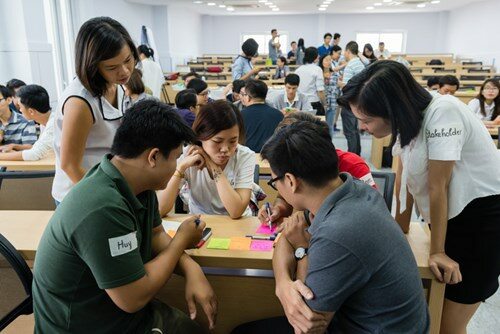 Makerthons are 12-36 hours innovation events, which will see about 100 people or more working in teams to prototype solutions for specific problems. 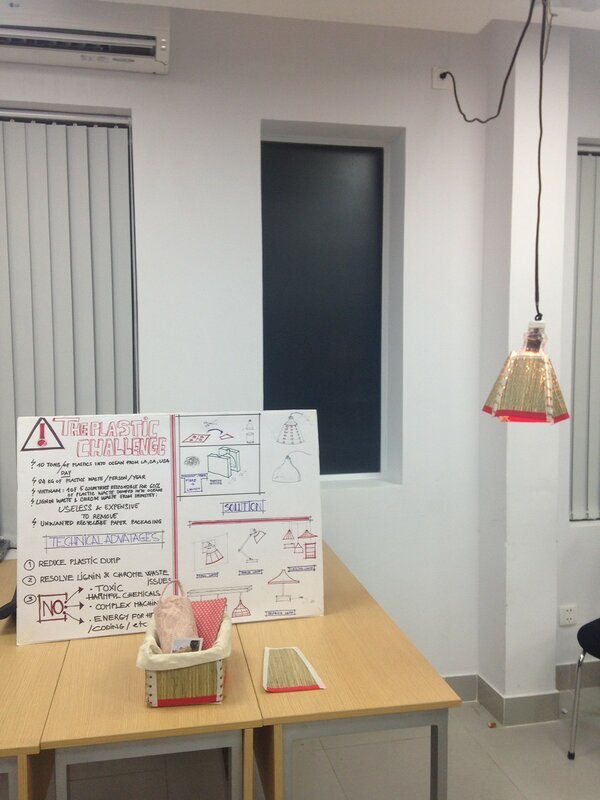 Participants create product prototypes during the competition. 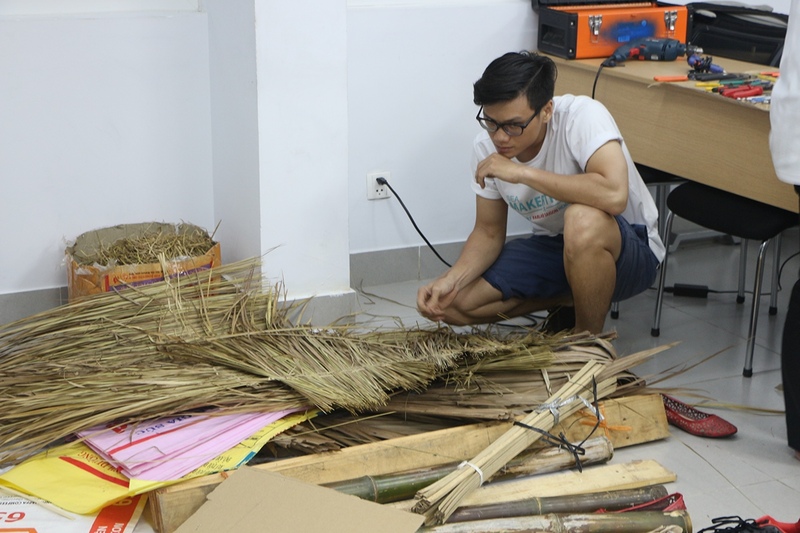 Participants will also have the opportunity to take part in master classes to learn about digital fabrication, circular economy business model, design, etc. 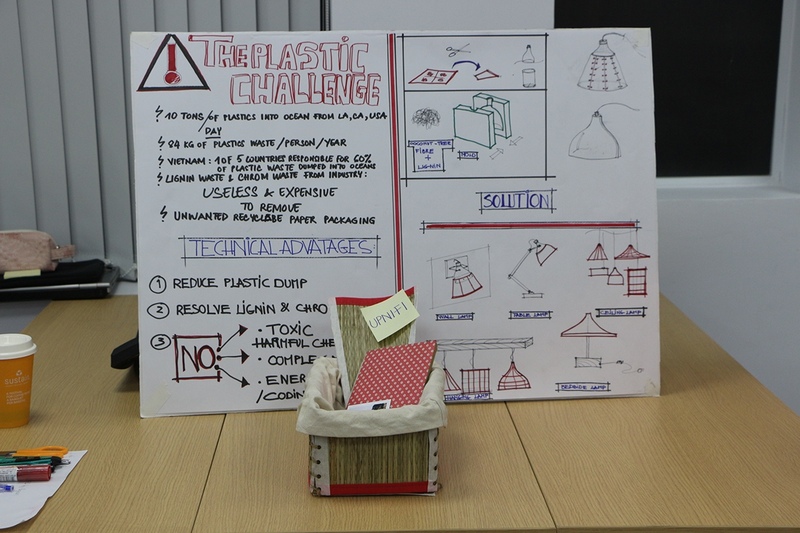 This year the topic is “Designing A World With Zero Waste”. 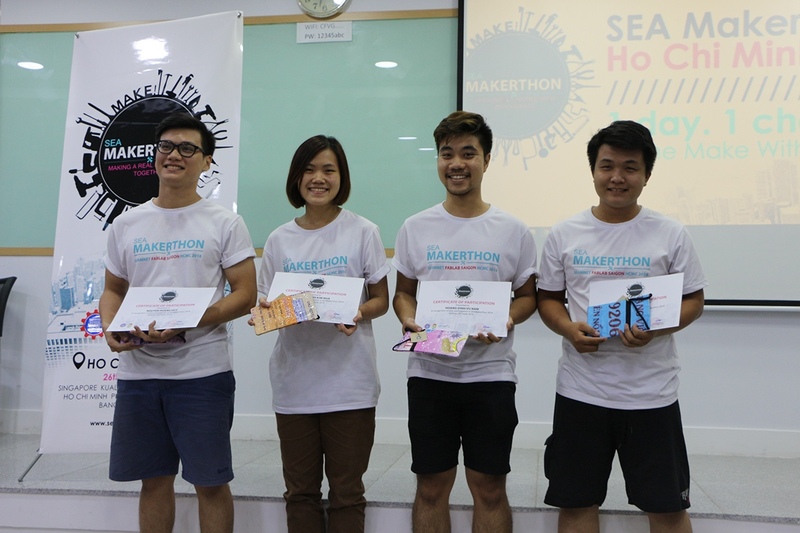 SEA Makerthon 2016 invites all makers, designers, entrepreneurs and enthusiasts to create sustainable products and business models. How might we design good products for lifetime use and encourage innovative business solutions that are profitable and resource-efficient? 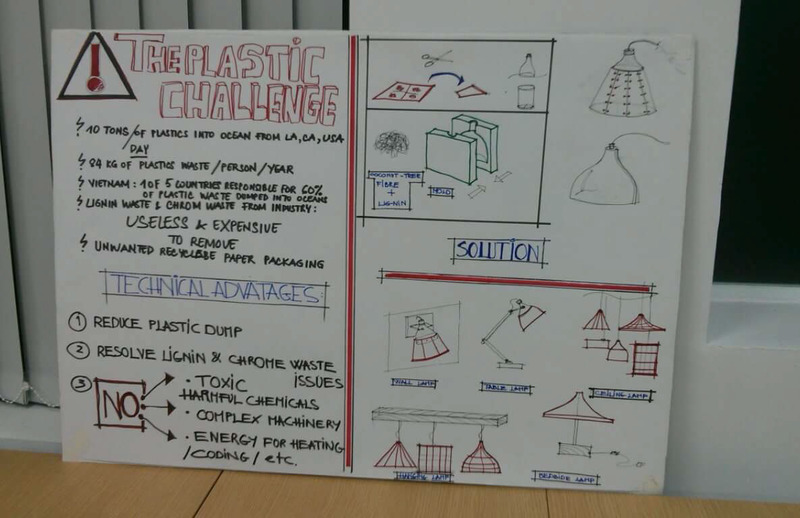 The concept of circular economy is at the heart of this event. In the simplest definition, the circular economy is a generic term for an industrial economy that is producing no waste and pollution, by design or intention (Source). 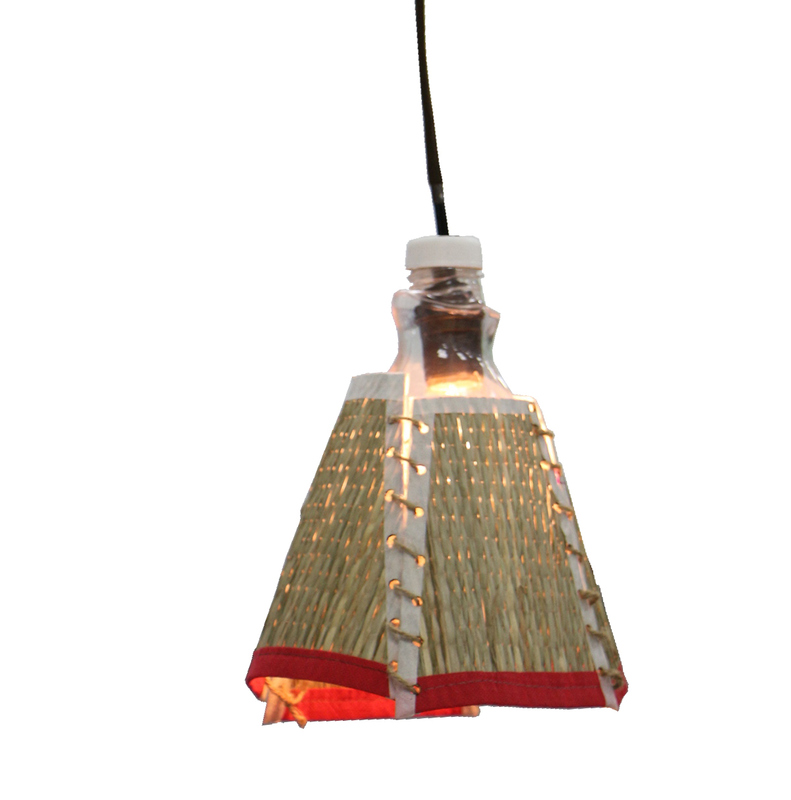 Designing a World with Zero Waste is about imagining the world that uses sustainable products that are durable, functional and do not contribute to pollution. Why is it so important locally and globally? 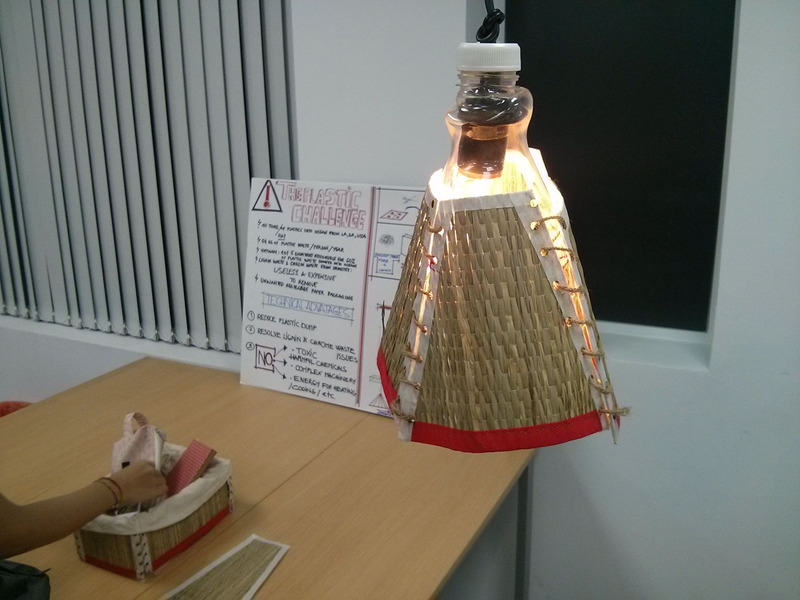 I developed an eco-friendly lampshade. 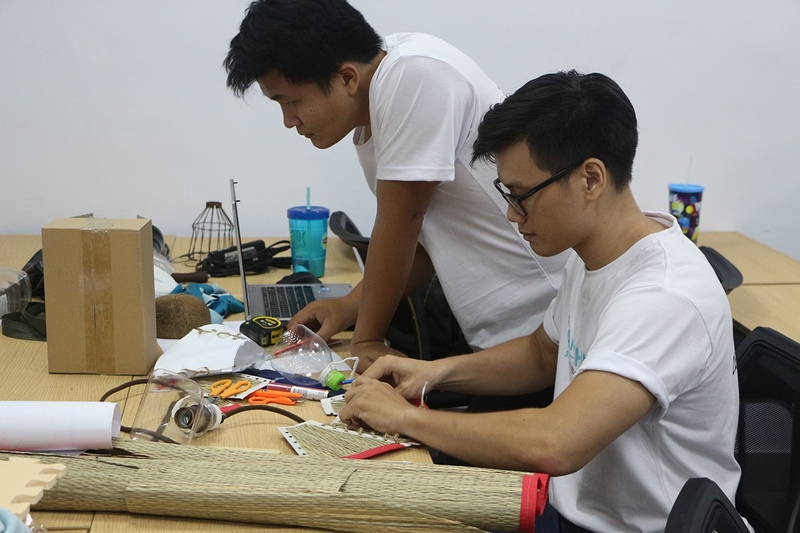 Using lignin (the world’s second most abundant natural polymer) as a glue substitute, the team assembled the lampshade from a plastic bottle, dried sedge (a grass traditionally used for weaving in Vietnam), and straws.The prototype reuses beverage packaging and employed traditional Vietnamese weaving techniques, which if the prototype was produced on a mass scale, would provide underemployed artisans with an additional source of income.